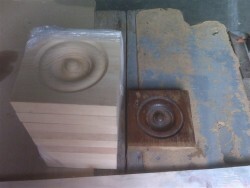 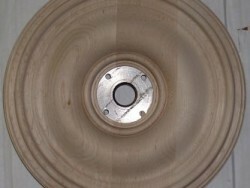 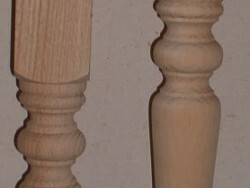 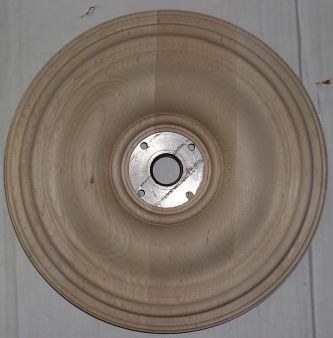 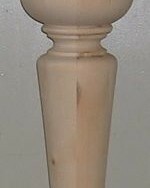 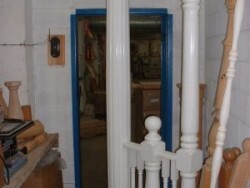 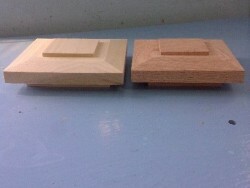 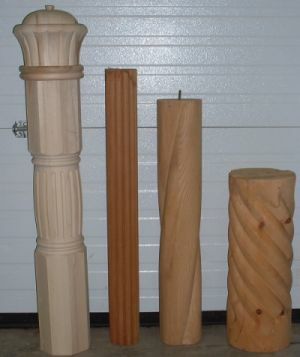 Custom Woodturning | Wood Work Ontario | Martin Woodturnings Inc. 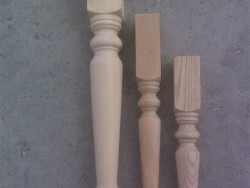 Here are some examples of the work we’ve done. 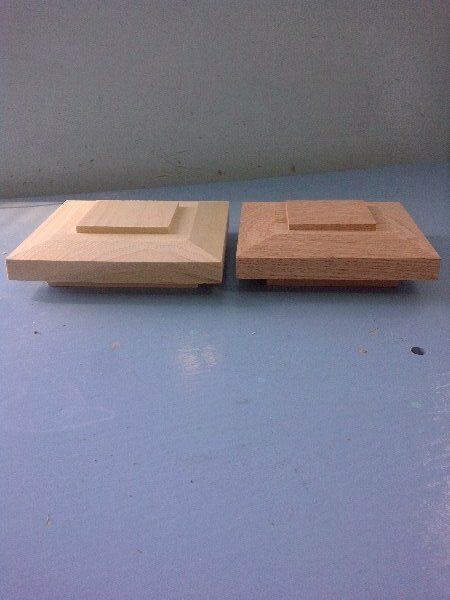 This was a custom order of rosettes that we turned identical to the old sample beside it! 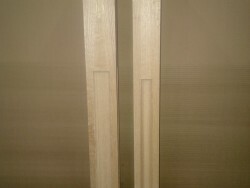 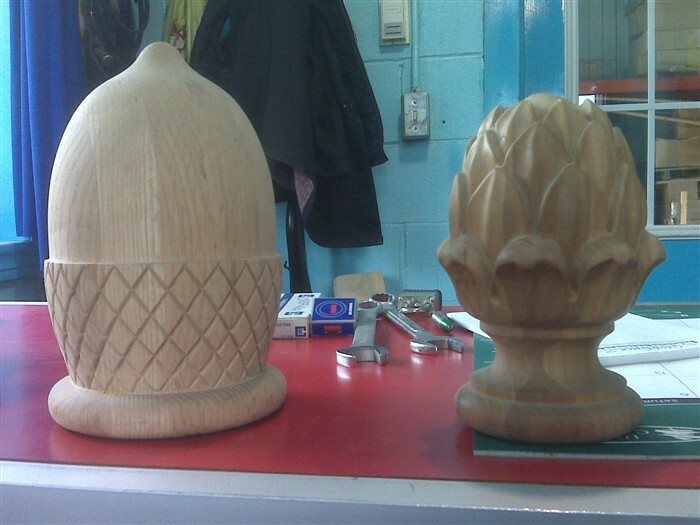 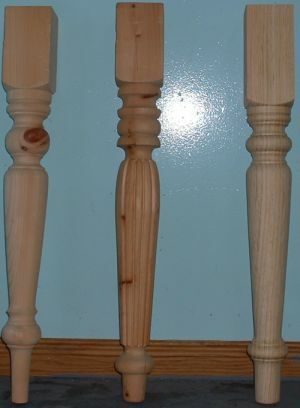 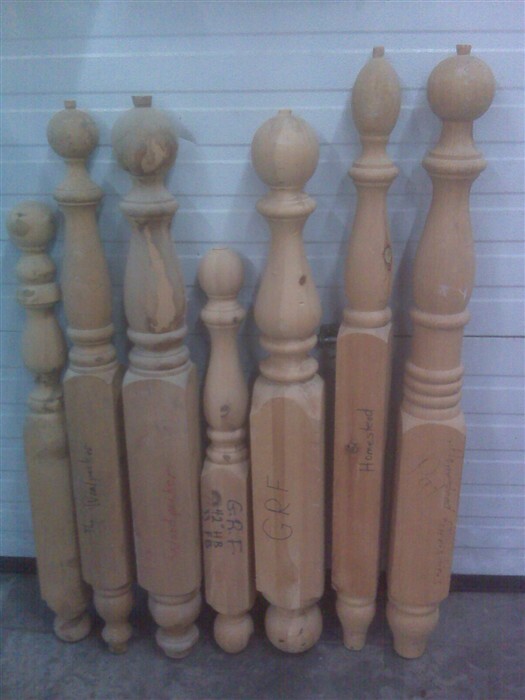 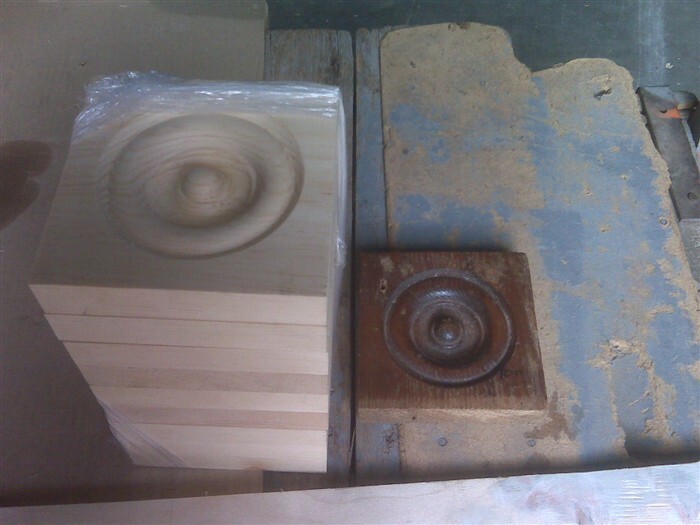 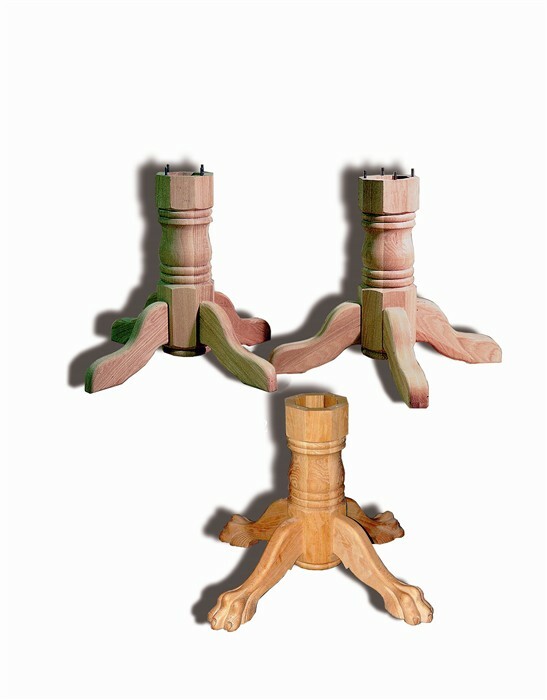 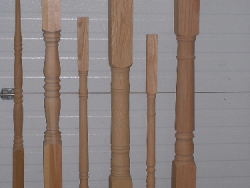 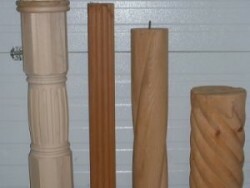 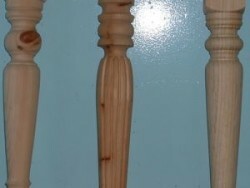 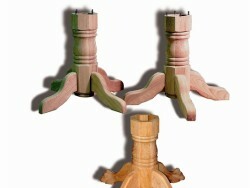 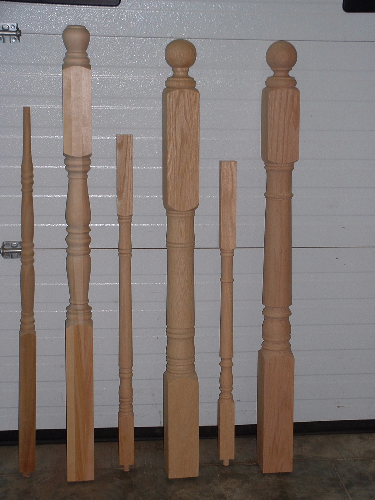 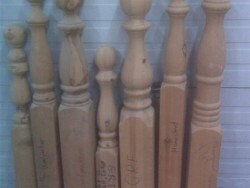 Here are a few samples of carved and twist reeded finials that we made for a customer! 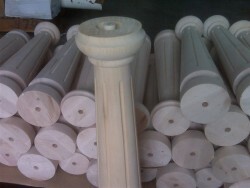 Here is another custom job of table pedestals that we did for a customer! 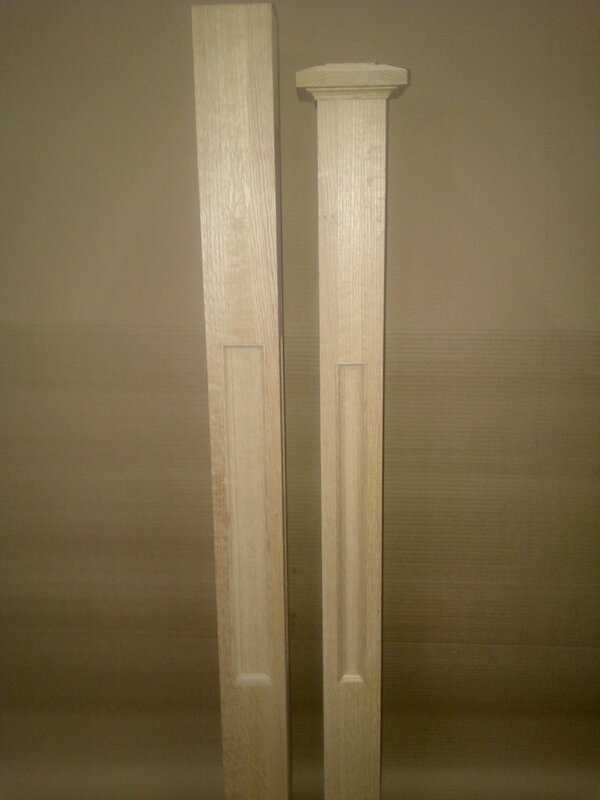 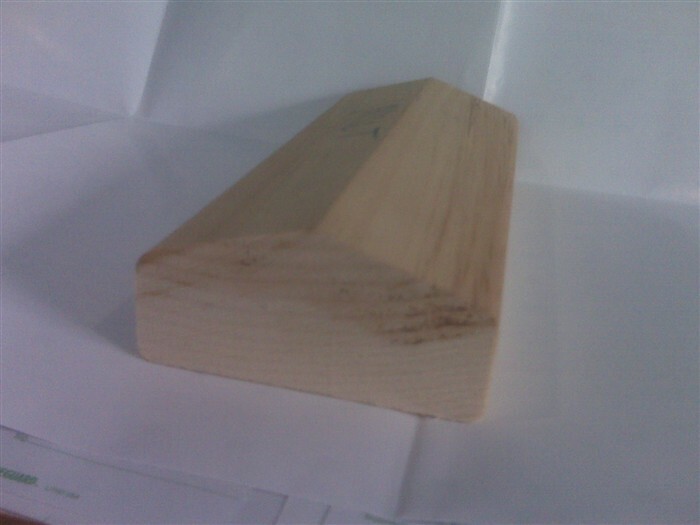 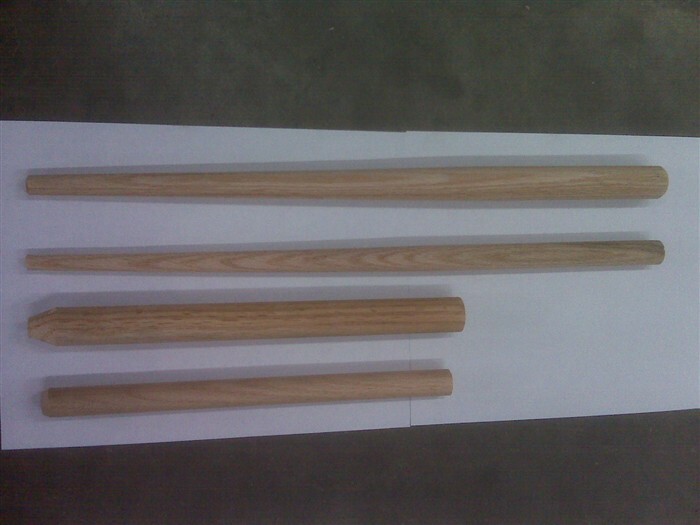 This is an outdoor railing profile that we keep stock of, in clear pine, also have it in grooved for the top rail or not grooved for bottom rail. 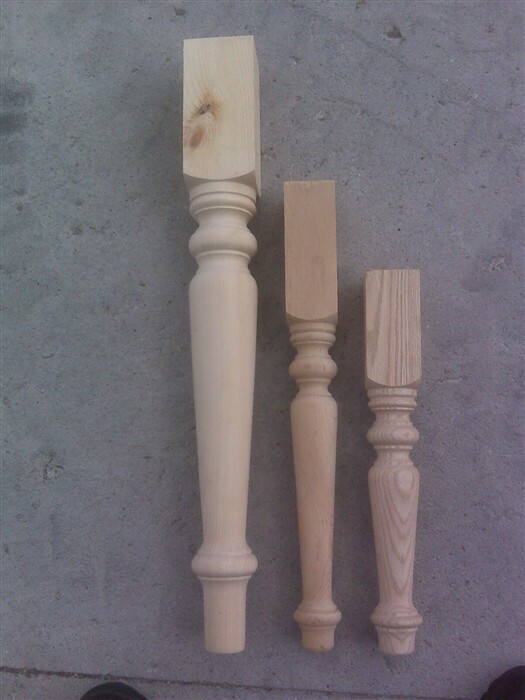 These are some timberframing pegs that we try to keep stock of, oak, sizes consist of, the top being the 1″ x 18″ tapered test peg, 2nd one is the 3/4″ or 19mm x 18″ tapered test peg, next one is 1″ x 11-1/2″, next one is 3/4″ x 11-1/2″, call or email for pricing! 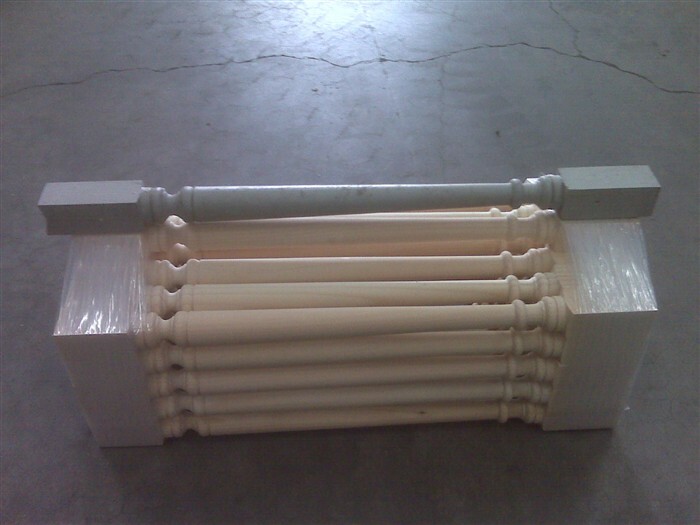 These are a few bed posts that we have made in the past, feel free to email and inquire, i need width, height, kind of wood, quantity to be able to quote! 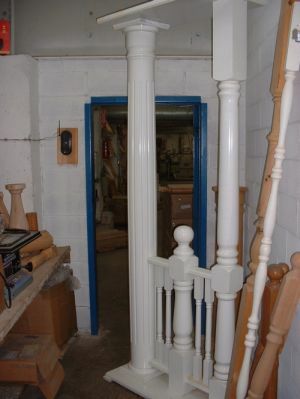 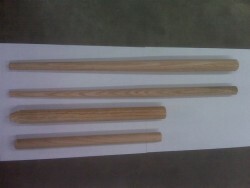 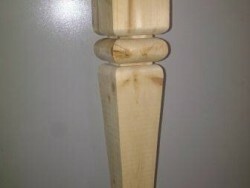 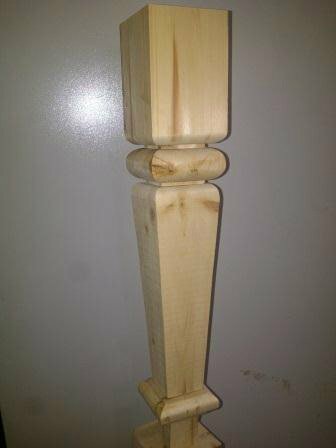 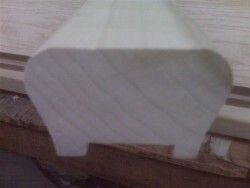 This is a table leg that we designed for a customer!